MIRAGE table is our outdoor Table Tennis Table. We select an innovative and genuine AP Board material which can be installed in various condition ( sun, rain, and cold weather).They are durable and provide a similar feeling to traditional table material.This table is single folding, easily assembling and moving. 1. 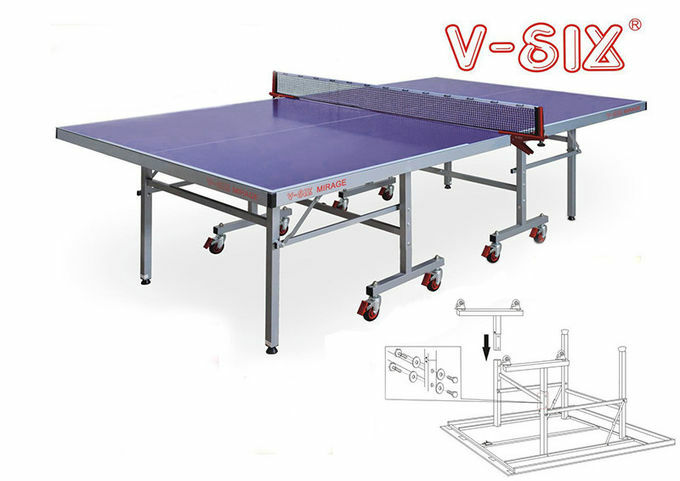 MIRAGE Table is a single folding table tennis table, with 4mm, 6mm Aluminum Plastic which is our innovative board material, coated with our special environmental friendly paint. The roller-coating technique enhanced the quality of paint, gives ping-pongs consistent and uniform bounce like traditional table material . The table boards are coated with special varnish that gives the right amount of gloss and ideal frictional coefficient to protect the tables in various condition ( sun, rain, and cold weather). scratched, peeled and faded in different weather. 3. 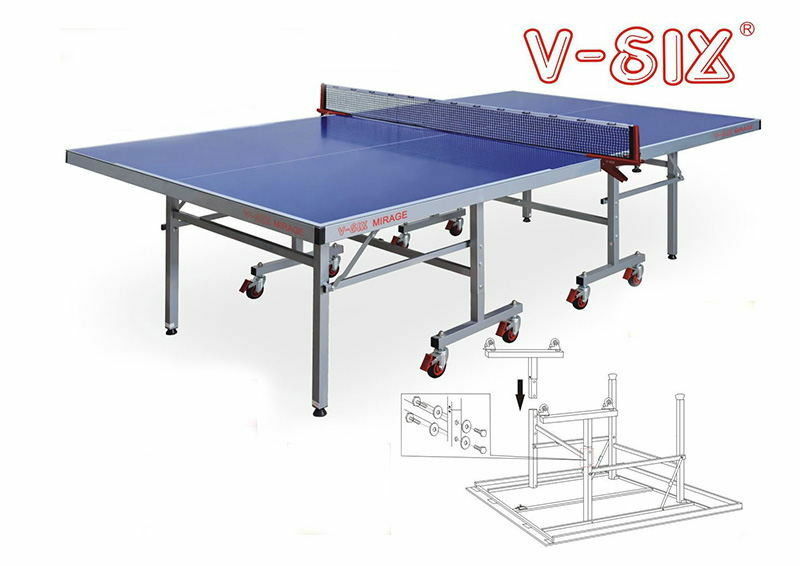 The steel frame size: 20x40 mm and 20x50 mm around the table board, significantly increase the strength and stability of the board. 8 PCS wheels with brakes make the table more stable while maintaining mobility. 5. Package: with Foam holder at the corner of table in carton. 6. Net Post set is not included. Lock Guard System (LGS) helps to open and close the tables at ease,the legs are equipped with locks to ensure safety while using our tables. Products to make the people more healthy and join the fun in the family. and material, packing requirements at very favorable price. We cooperate well to make clear the detail information very carefully before production. our high quality products to meet our customer requirements. We usually accept payment by T/T before shipment or payment by irrevocable LC at sight. In K=K strong carton with the stripe tape. and send to the ShenZhen port to which it takes about 1-2 hours from our factory. year. We can supply the technology to repair the goods and replace the accessories.